Pioneers in the industry, we offer electroformed nickel screen from India. We offer a wide range of Electroformed Nickel Screen including Centrifugal Nickel Screen for Sugar Centrifugal Machines to our clients. Electroformed Nickel Screen is also known as continuous centrifugal screen or electroformed nickle screen. The mechanical properties of Centrifugal Nickel Screens, depends upon the selection of raw materials and accurate process control systems. 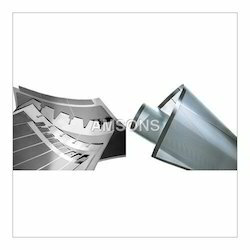 We also make use of qualitative nickel that is 99.99% pure to manufacture these nickel screens. This helps us to maintain the right mechanical properties including mechanical stress and ductility, in addition to tensile strength. Also we offer the hard chromium plating facility. Looking for Electroformed Nickel Screen ?